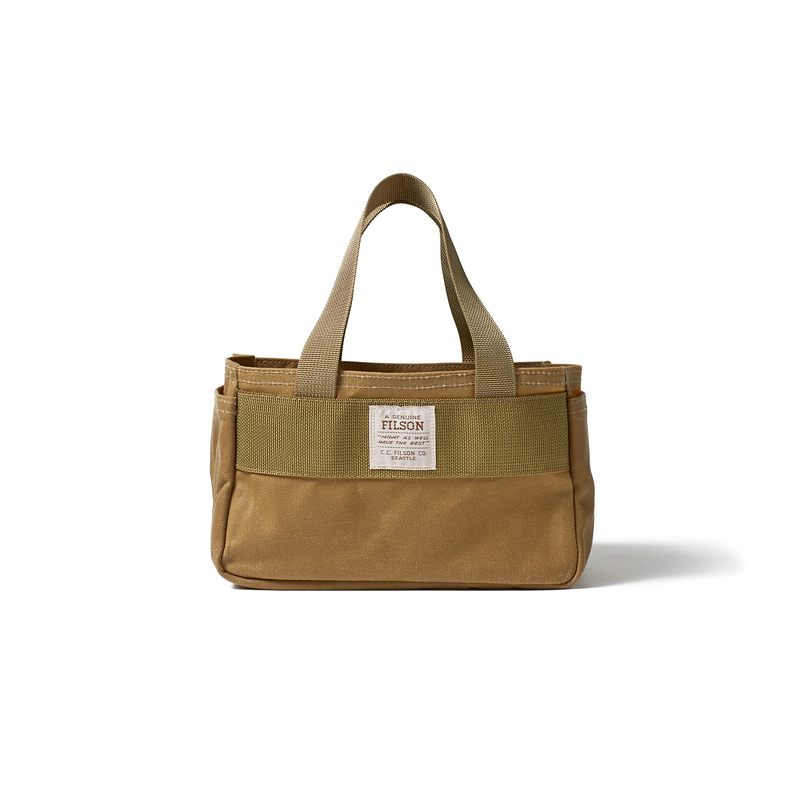 This tough, water-resistant oil finish Tin Cloth bag accommodates up to four boxes of 12-gauge shells. 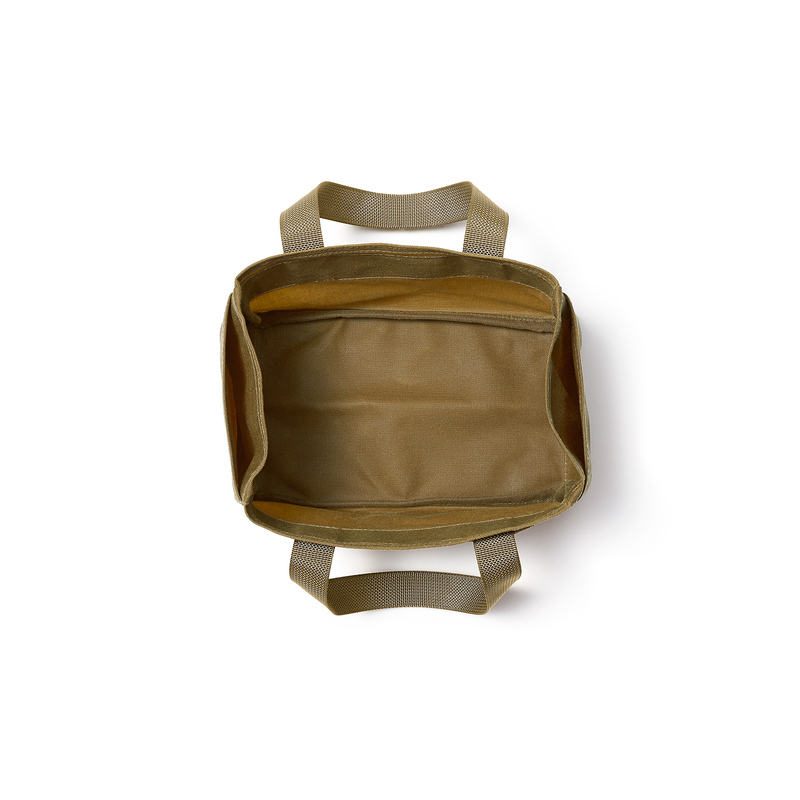 It has sturdy, lightweight, quick-drying nylon webbing carrying straps, and webbing reinforcement. 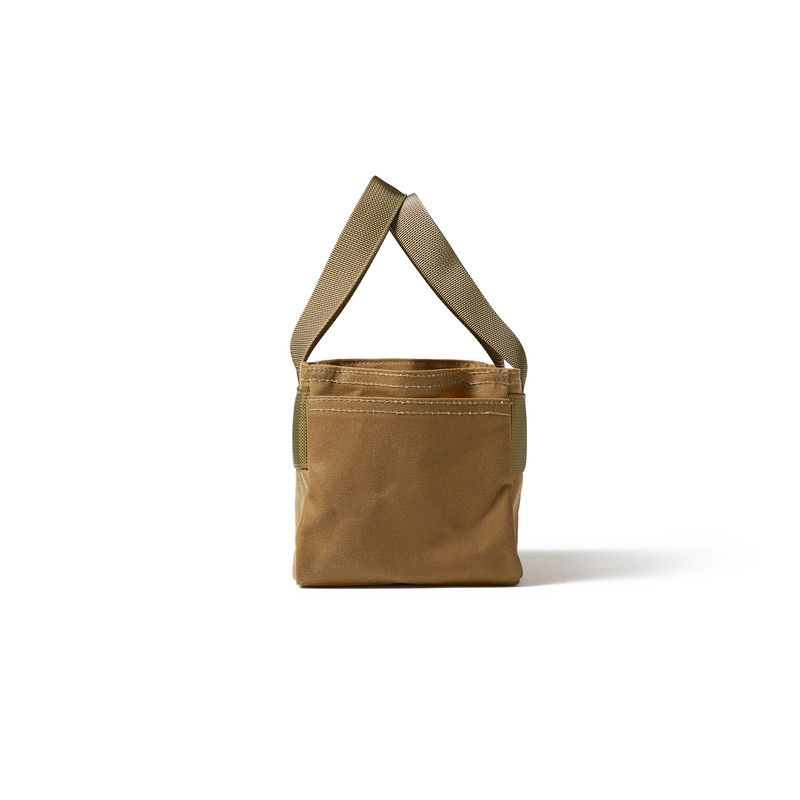 Two exterior stow pockets provide organization for small items, and double-needle construction adds to the lifetime for this reliably rugged field bag.